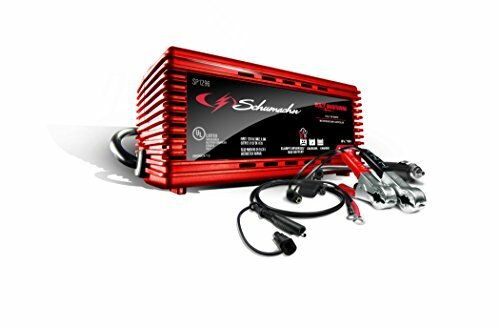 Schumacher's SP1296 2A 6V/12V DOE Battery Maintainer maintains both 6-volt and 12-volt batteries, keeping them at full charge using float-mode monitoring. The multi-stage charging feature provides added precision, safety, and battery life. Float mode monitoring automatically maintains optimum battery charge. Auto-voltage detection automatically detects output. Reverse hook-up protection ensures charger will not operate if clamps are reversed, as LED indicators will flash.